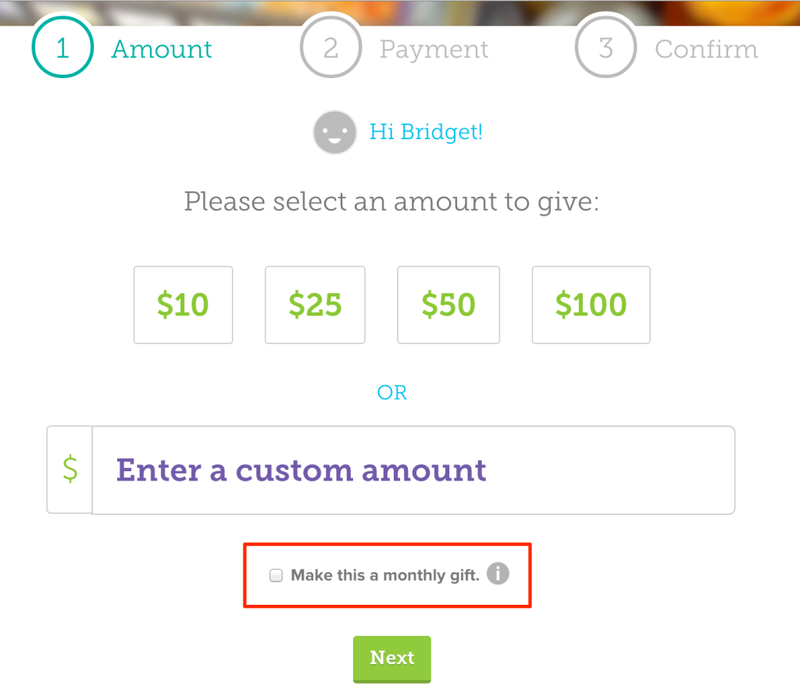 How do I make a monthly gift? whether it’s for a Giving Day, a campaign, or from an organization’s profile. 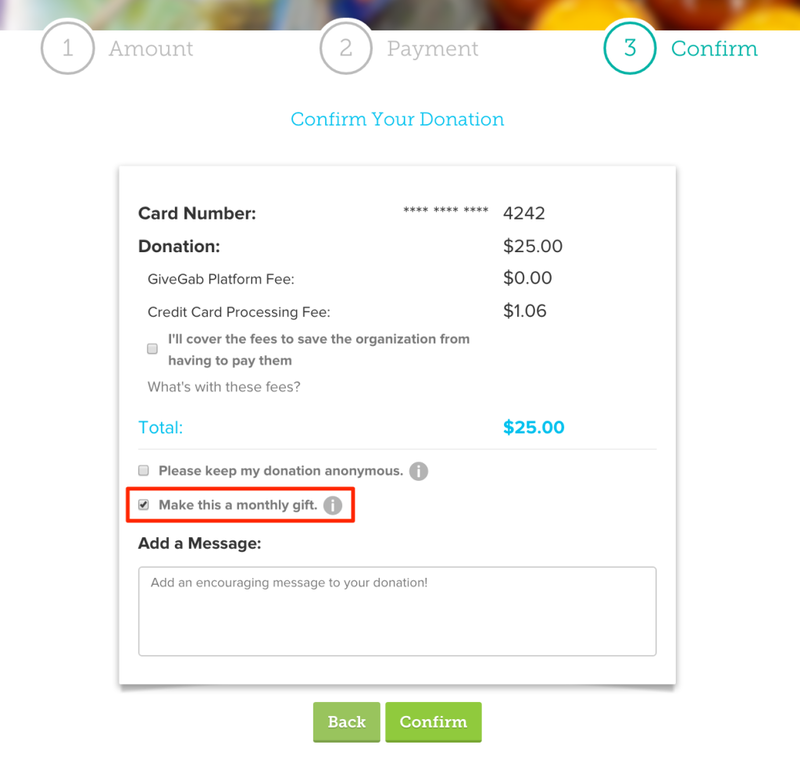 If you didn’t check that box the first time around, you can do so once you get to the "Confirm Your Donation” page. Once your monthly gift has been processed, your credit card will be charged the same amount each month on the same date. For example, I made a $10 monthly donation on October 1. On November 1, the credit card I used to make the original donation will be charged $10. If you want to cover the fees or make your donation anonymous, those settings will hold true for all your future recurring donations, i.e. if I cover the fees on the first monthly donation, all future donations will also cover the fees. If you want to cancel your monthly, you can do so from your Profile page at any time.